Select the best option for your Studio, Library or Office. 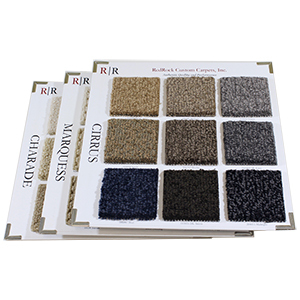 RedRock offers Sample Sets, Product Cards and our Yarn Pom Set to authorized designers, design firms, dealers and showrooms. Call or Email us to discuss what works best for you. Inclusive of our product cards, the sample card box provides versatile storage and mobility. take it with you to present at the hangar, their office or home. Clean and simple, the RedRock Product Cards offer an efficient way to make a quality presentation. -The product as it is made in our mill. -Standard Colors and Various Color Options. 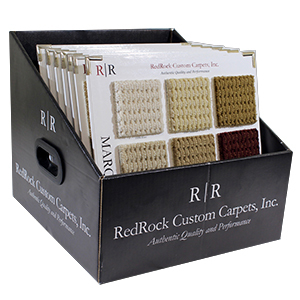 Make your presentation professional and effective with our RedRock Sample Sets. 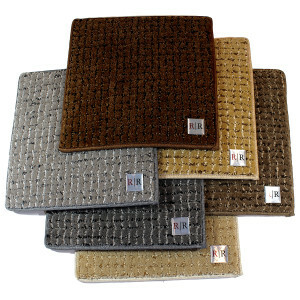 Available in 6” x 6” or 12” x 12” sizes, most qualities are inventoried and ready for shipment as needed. Please call or email for cuttings for your project boards and to discuss your needs for your showroom or studio sets. The 2017 RedRock Pom Set features an array of today’s most current and useful yarn colors. Added versatility and value can be provided to your customer by building the perfect color combination for their interior. 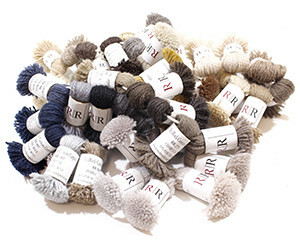 Each color is inventoried to offer prompt sampling for approval and order placement.